Born in 1915 in St. Petersburg, Russia; Architect and founder of the Union of Women Architects in Belgium. Studied in Germany and Austria before emigrating to Belgium at the onset of World War II. She specialized in remodels of 19th century residences. Outspoken advocate for women in the profession. 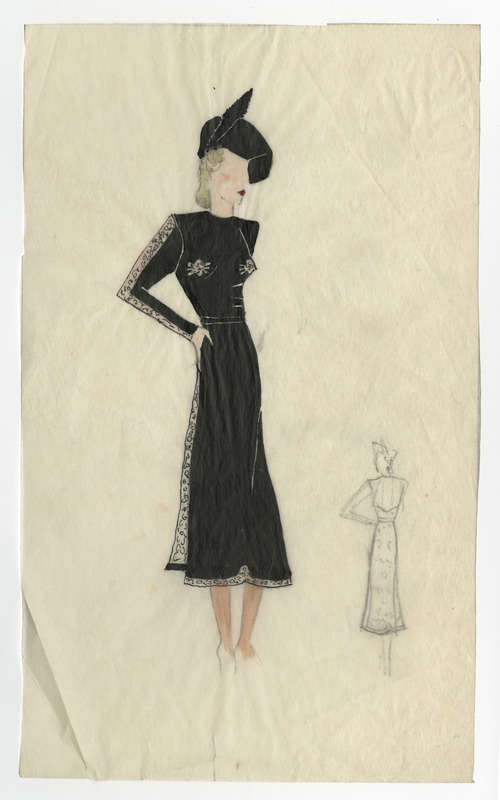 Collection consist of drawings, personal journals, business records, as well as published articles about the Union of Women Architects of Belgium and Roque-Gourary. Permission to publish material from the Judith (Dita) Roque-Gourary Architectural Collections must be obtained from Special Collections, Virginia Tech. Researchers wishing to cite this collection should include the following information: Judith (Dita) Roque-Gourary, Ms2011-074, Special Collections, Virginia Polytechnic Institute and State University, Blacksburg, Va.